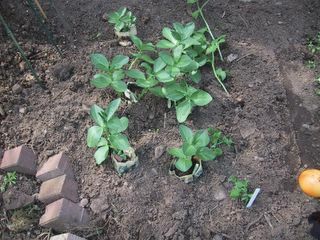 Broad beans and 2 pea plants transplanted, and some new pea seeds sown. A very pretty damson tree in bloom. Beautiful water buttercup (I think).